To satisfy those with a penchant for spacious, high-end living, Defence Housing Authority (DHA) Karachi launched DHA Oasis Karachi, a project featuring farmhouses, in January 2015. Registrations were opened soon after. This registration process was completed successfully a few days ago and now DHA Karachi has made another official announcement – balloting will be held on November 6. Registered members have been invited to attend the ‘open computerised balloting’ event at DHA Country & Golf Club in DHA Phase 8, Karachi. Those who fail to make the cut will have the registration fee refunded 90 days after balloting, but the processing fee will be deducted from this. Booking forms will be dispatched to successful members after balloting and they will be required to make the down payment. If they fail to do so, their registration will be canceled (once again, the registration fee will be refunded, with the processing fee deducted from the reimbursement). According to a public notice rolled out by the authority, applications have been verified and messages confirming registration have already been sent via SMS and email. DHA Karachi has also notified members that those who submitted registration charges by September 18 but did not receive a confirmation message should contact DHA Karachi’s Marketing Office at 111-111-160 or 0311-1444160 before October 31. After this date, the authority will not be responsible for any omissions. Mr Omer of Riffat Corporation said no development work is being carried out right now. According to him, the project will be housed in Sector I of DHA City Karachi. 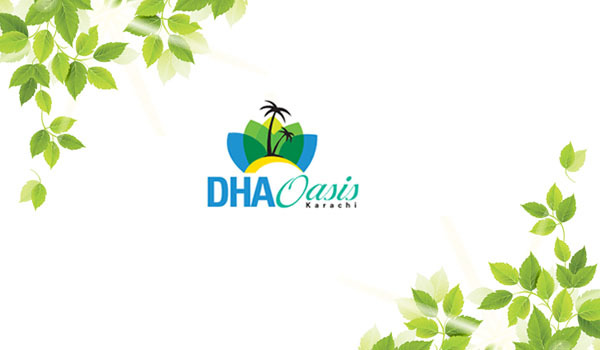 DHA Oasis will consist of farmhouses measuring 2,000- 2,500-, and 3,000- square yards. Please see the tables below to get an idea of the payment plan and prices. *The prices do not include additional charges that will be sought for prime location, corner plots, extra land and utility payments. The developer has already acquired land for the project and plans to hand over possession in 30 months. Each farmhouse will feature three to four spacious bedrooms, a swimming pool, barbeque area, modern kitchen and beautifully landscaped lawns. Now that DHA Karachi has announced the ballot date, all that registered members need to do is patiently wait for the big day. If you’re one of them, I wish you the very best of luck. Be happy, you are going to own a lavish farmhouse soon where you and your loved ones can make beautiful memories. Rest assured, we will keep you updated about any developments on the project. Please use the comments section below for further discussions.